There is no shortage of places around Place Flagey to have a drink. What differentiates them is of course the quality of the place. I have been a great fan of Le Petit Canon for years. Perhaps it’s the fact that it’s not directly on Flagey that makes it more enjoyable, but every visit there has been consistently lovely. The small sunny terrace in the summer, the cozy and intimate interior in the winter, the surprisingly affordable prices of drinks, the excellent selection of wine (as expected when you go to a wine bar! ), the tasty homemade snacks (which change according to the season)… I like everything at Le Petit Canon. This is a place to come for a date or with a friend and talk all night. It’s also enjoyable during the day for a coffee. 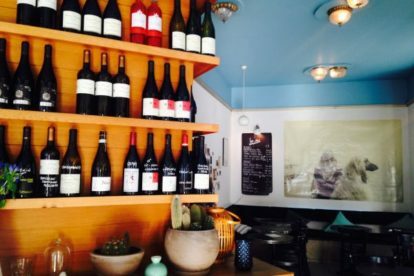 Le Petit Canon is just the perfect laid-back place, especially if you are looking to relax with a glass of wine and rillettes.